Professional gamer most well known for playing Counter Strike: Global Offensive competitively. Part of team Fnatic, he's taken 1st at competitions around Europe from Cologne to London. He broke into competitive gaming in 2013 and by 2014 was placing at international competitions. He earned a prize of $100,000 each at the 2015 ESL One tournaments at Cologne and Katowice for winning first place. Though Fnatic's main office is in London, he is native to Sweden. 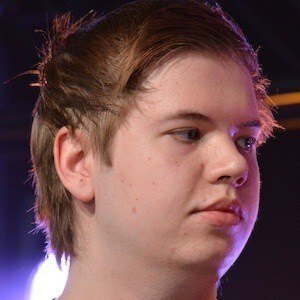 He is joined in Fnatic by fellow Swedish gamer Patrik Lindberg.